Remove the right wheel drive shaft from the transmission. Refer to Front Wheel Drive Shaft Replacement. 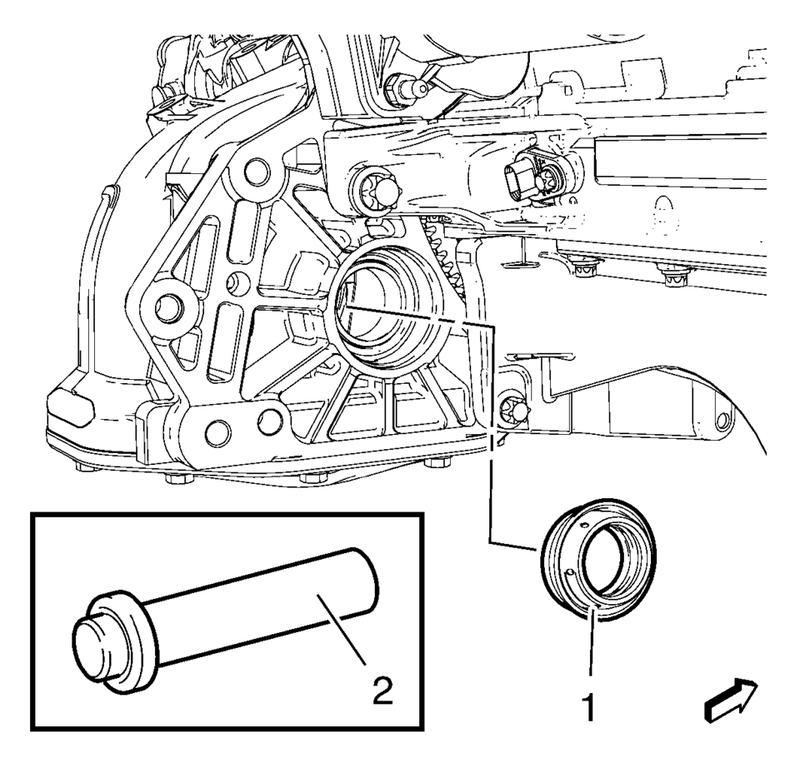 Remove the right front wheel drive shaft oil seal (1) using the DT-7004 hammer and the DT-23129 remover (2). 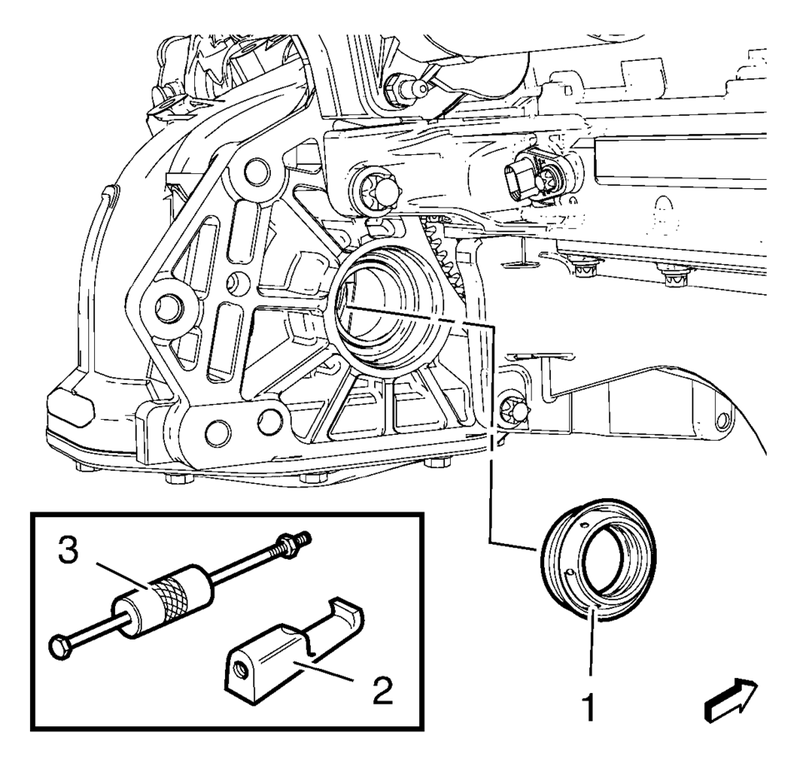 Coat the NEW right front wheel drive shaft oil seal (1) with transmission fluid. Install the NEW right front wheel drive shaft oil seal (1) using the DT-446 drift and hammer (2). Install the wheel drive shaft. Refer to Front Wheel Drive Shaft Replacement.